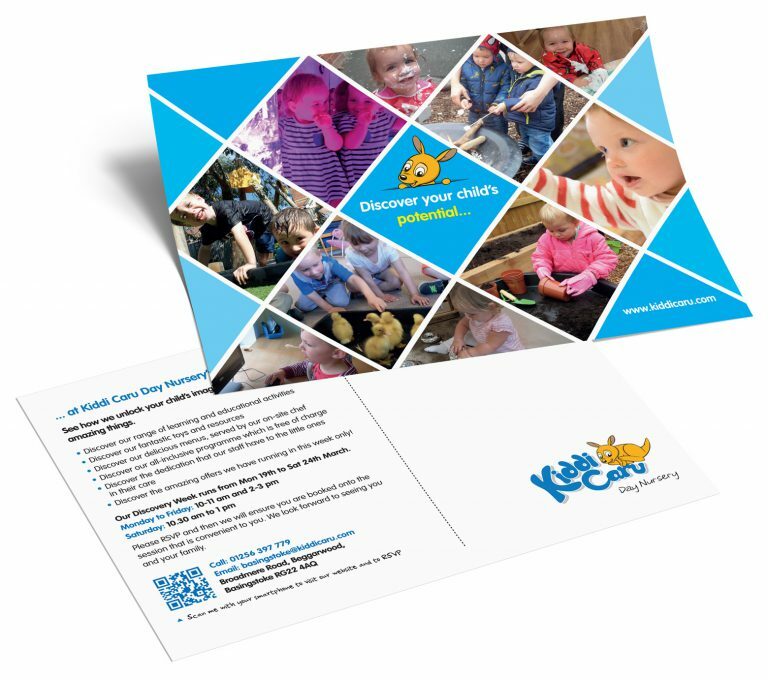 Print design and print production is part and parcel of our full service offering as brand guardians to Kiddi Caru (part of the Childcare Corporation and Grandir Group of companies) – a successful chain of child’s day nurseries throughout the mid to south of England. Our longstanding continuous brand development and on- and offline marketing management has resulted in some impressive literature and marketing materials, so here’s some more about what we have done over the past year or so. 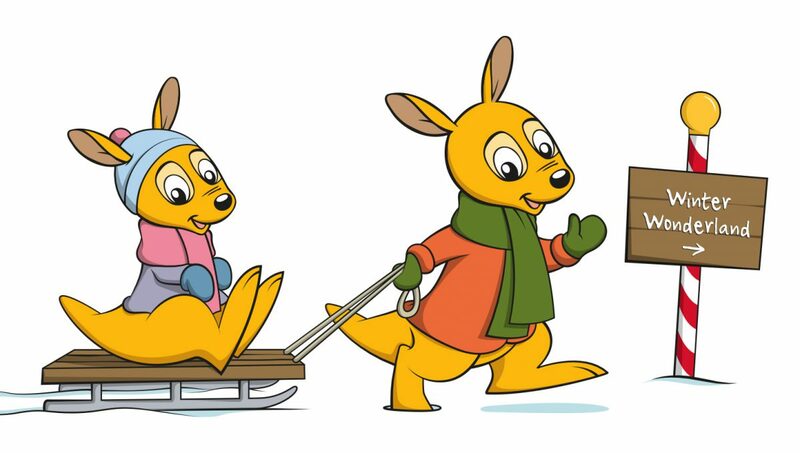 Due to a number of new nursery acquisitions over the last year all of the Kiddi Caru branded nurseries and the newly acquired nurseries needed to be brought into line and consistency achieved. As such, a full redesign of the general marketing leaflets, parent packs and of course all nursery communication print items (for example, letter heads and business cards) all needed to be recreated. 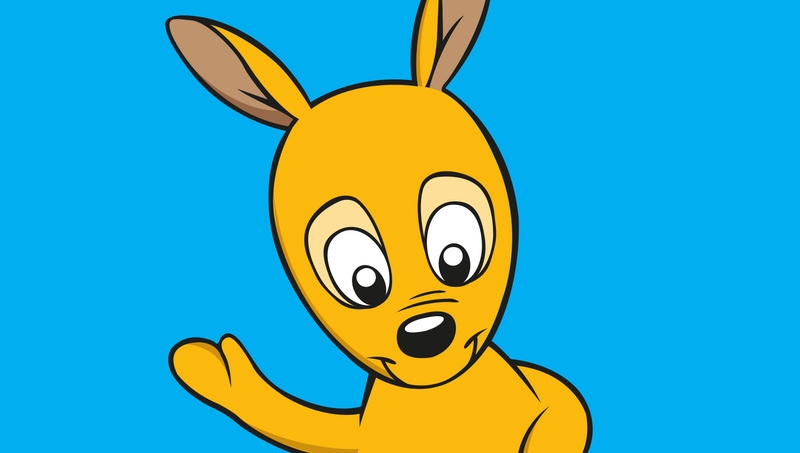 In addition, some of the nurseries would not adopt the kangaroo character historically used by all nurseries as they wished for their own local nursery identity to remain. It was agreed that the harlequin photo montage style – which has proven to be popular recently – would be used throughout the brand to tie all sites in the nursery chain together and allow the individual nurseries to retain their own identity. 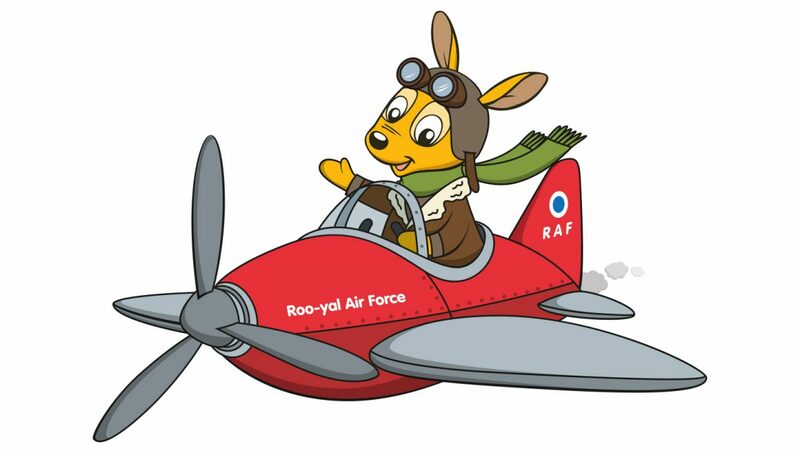 The Experience Day promotion for Spring and Autumn also had a re-style in line with the above and are now called Discovery Days, taking place either on one day, or for some nurseries over a full week. We assisted with the promotional leaflets (with associated HTML responsive emails and online graphics for social media), whilst liaising with the fulfilment company who were responsible for sending the promotional material. 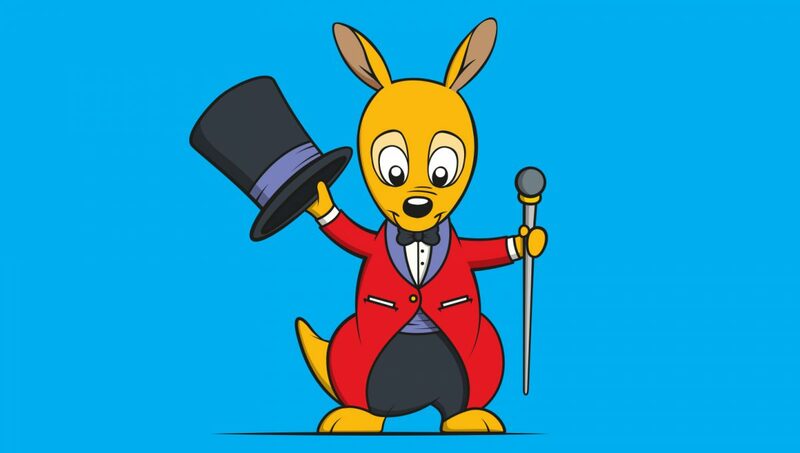 We continue to look after the Christmas marketing ideas and during this and previous years having Roo on centre stage still proves to be popular with the nurseries and children alike. 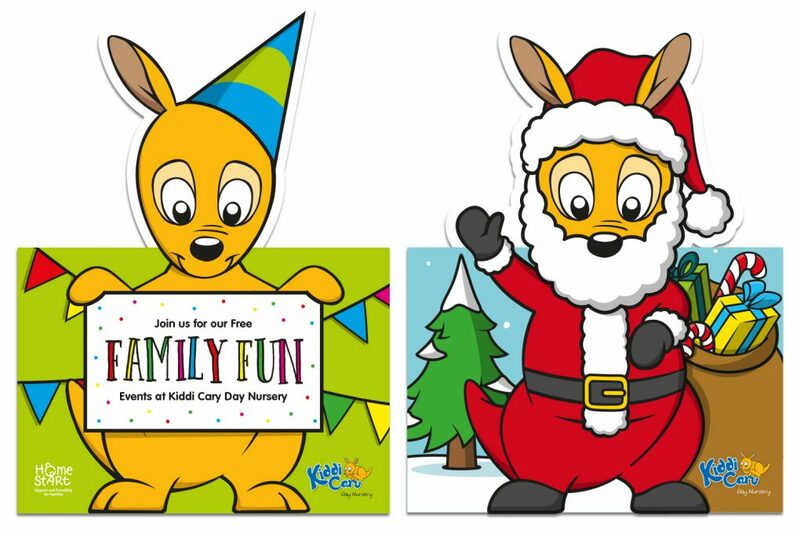 Kiddi Caru like to give a Christmas gift from Santa each year and it was found that the Snap Cards which we had designed and produced some years ago were still proving popular with the children. 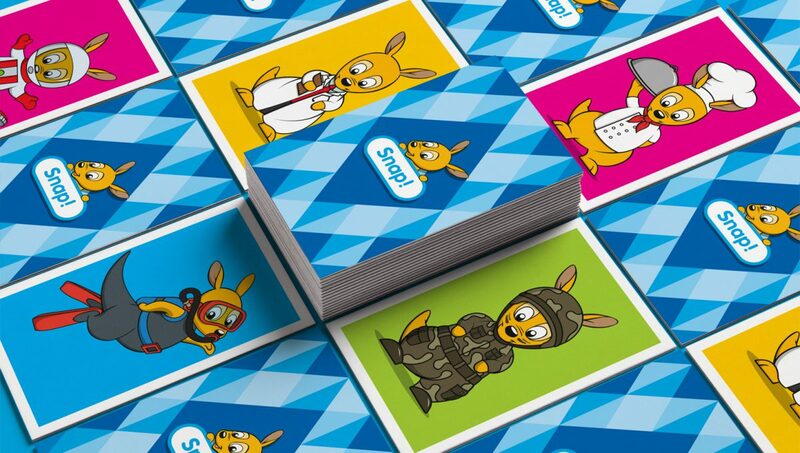 Therefore, we gave the cards a refreshed design and updated the Roo characters. Working with the marketing team at Kiddi Caru is a genuine pleasure. We are considered an extension of their team and regularly come up with ideas and suggestions for new marketing activity on and offline. We are happy to hand-hold when necessary and work to specific instructions on other occasions. Our sole objective is to make a positive difference to the marketing of the nurseries and arm the team with everything they need on an ongoing basis. For set campaigns we ensure consistency for each and every touch-point, both on- and offline, for existing and potential customers, staff and investors of the nursery group.